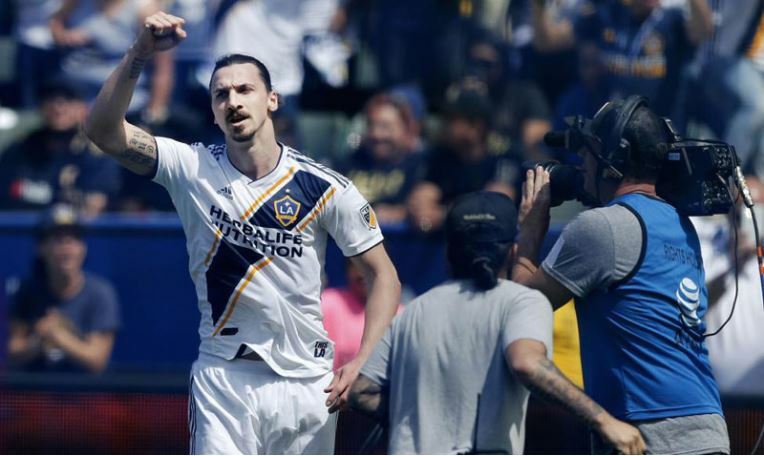 Zlatan Ibrahimovic’s new deal with the LA Galaxy could end up being the biggest payday in MLS history. The Galaxy announced Ibrahimovic’s signing earlier this week without revealing terms, but multiple sources with knowledge of the contract told ESPN FC that he’ll be paid between $7 million and $7.5 million in 2019, ESPN.com reports. That constitutes a considerable raise from the $1.5 million the Swede earned in 2018, a season that saw him score 22 goals and add 10 assists in 27 games and be nominated for the league’s MVP award. His goal tally was the second most in the league behind the 31 goals scored by eventual league MVP Josef Martinez of Atlanta United. If Ibrahimovic’s compensation ends up even in the middle part of the range, he will hold the record in both categories. Toronto FC’s Sebastian Giovinco was the highest-paid player in 2018 with total compensation of $7,115.555.67. “There was a lot of talks, a lot of rumors, a lot of whispers around. But actually I never left,” Ibrahimovic said in a video posted on the Galaxy’s website when he signed Tuesday. “I stayed here, and like I said, I’m not finished yet with the MLS. I’m still not satisfied with the outcome. I have things still to do.